Technology resides at the heart of the corporate travel experience. When applied successfully, it delivers value and productivity to organisations, while also enhancing the individual traveller’s experience. Today, every aspect of a journey can be managed with the touch of a button for maximum productivity, reliability, comfort and enjoyment. In this rapidly-evolving technological landscape, how can travel management companies ensure customers always have quick and easy access to the most innovative and meaningful travel tools? At Corporate Travel Management (CTM), we understand the importance of flexible and transparent development processes that respond directly to customer needs. That is why our technology teams across the world have adopted the “agile” approach to building and upgrading our own proprietary travel technology. 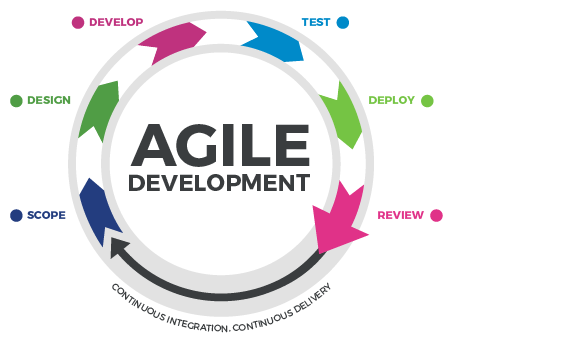 Agile incorporates multiple methodologies based on iterative and incremental development. The best solutions evolve through collaboration between cross-functional teams. This process has been chiefly used in software development to improve speed to market and productivity. Traditionally, development processes have been more linear and rigid, which heightens the risk of creating unsuitable tools that are out of date at the time of delivery. Change is one of the few constants in the travel industry and this demands a timely response from travel management companies. 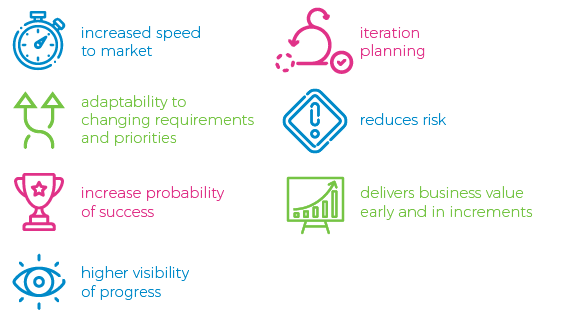 CTM is committed to a rapid deployment cycle for technology releases that keeps pace with continuously evolving market conditions. Our teams execute the development lifecycle in smaller increments, known in the agile environment as “sprints”. This allows for iterative product enhancement that can be delivered within weeks, contrasting with the more cumbersome approach of projects being planned up front and executed against that plan. CTM puts the user front and centre of technology development. We communicate directly with customers at every stage of the process, helping us to move quickly from idea-generation to deployment. Through our CTM User Labs, customers have early access to products and this, coupled with our iteration model, allows us to source direct end-user insights and data. This connects the people who build our products with the people who use them. This collaborative approach provides a better understanding of customers’ specific requirements, while our continuous feedback loops empower them to share ideas on how to improve our product offering. We integrate this information with the latest market and industry intelligence. As a result, CTM delivers technology which is flexible and engineered to last, and our tools are the most intuitive, responsive and easy to use on the market. CTM’s world-class development team work out of technology hubs in all four of the market regions we operate. Within these hubs, our cross-functional teams work closely together on projects with an immediacy that delivers results. While our global network is underpinned by compatible systems and processes in every market, our local tech teams understand exactly what is happening on the ground in their regions. They liaise directly with customers to ensure localised, tailored solutions that are both meaningful and relevant to businesses of all sizes. CTM recognises the role agility can play in meeting and exceeding customer expectations. Our technology development roadmaps are built around tomorrow’s travel landscape, ensuring we are always one step ahead. 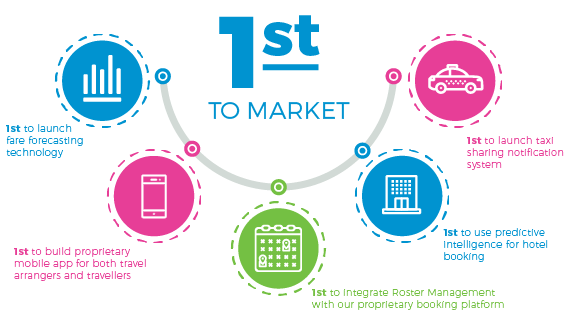 Whether keeping travellers informed while on the road or allowing travel arrangers to make the best decisions for their businesses, CTM has the powerful and reliable tools to meet our customers’ unique and ever-changing travel needs. CTM’s forecasting technology delivers 14% saving on flights. Find out how. Travel tools that drive efficiency, compliance, safety and user-experience at every step. Find out how your business could benefit from our award-winning technology suite.